I have been teaching Focusing, Focusing-oriented therapy (FOT), Focusing-oriented expressive arts therapy (FOAT®) and Focusing-oriented art therapy (FOAT®) for over 30 years. I enjoy teaching all aspects of Focusing-oriented therapy and have been a training people internationally as well as nationally. I pioneered the integration of Focusing with the expressive arts therapies and have helped to establish Focusing-oriented art therapy and Focusing-oriented expressive arts therapy as approaches within the arts therapies fields. I am the author of Focusing-oriented art therapy: Accessing the body’s wisdom and creative intelligence; the editor/author of Mindfulness and the arts therapies: Theory and practice (with two chapters on FOAT®); as well as numerous chapters and articles. I love to collaborate with others helping to bring Focusing further into psychotherapy, communities and organizations—deepening self-compassion and compassion toward others in the world. I enjoy teaching all aspects of Focusing and FOT, with a special interest in integrating all of the expressive arts, as well as mindfulness and meditation practices. I have worked with a wide variety of clients—adults, teens, children, couples, families, groups, and organization—who have a range of clinical issues, including trauma, chronic and terminal illnesses, anxiety, depression, severe mental illness, and more. In addition, I work with people seeking personal growth, authenticity, and interesting in exploring the integration of spirituality with psychotherapy. 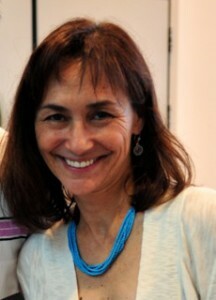 Rappaport, L. (2010). Focusing-Oriented Art Therapy with Trauma. The Journal for Person-Centered and Experiential Psychotherapy, Vol. 9, (2), 128-143. Rappaport, L. (2013). ‘Focusing-oriented art therapy with people who have chronic illnesses.’ In C. Malchiodi, (Ed.). Art therapy and healthcare, pp. 225-239 New York: Guilford Press. Rappaport, L. (2014a). ‘Focusing-Oriented Expressive Arts Therapy: Cultivating Mindfulness and Compassion, and Accessing Inner Wisdom.’ In L. Rappaport. (Ed. ), Mindfulness and the arts therapies: Theory and practice. London: Jessica Kingsley Publishers. Rappaport, L. (2014b). ‘Focusing-Oriented Expressive Arts Therapies and Mindfulness with Children and Adolescents with Trauma’ in C. Malchiodi, (Ed.) Creative interventions with traumatized children, 2nd edition. New York: Guilford Press. Rappaport, L. (2014c). ‘Focusing-Oriented Expressive Arts Therapy: Working on the Avenues.’ In Madison, G, (Ed.) Theory and Practice of Focusing-Oriented Psychotherapy: Beyond the Talking Cure. London: Jessica Kingsley Publishers. Rappaport, L. (2014d). Integrating Focusing with the expressive arts therapies and mindfulness. The Folio: A Journal for Focusing and Experiential Therapy, 25 (12), 152-161. Rappaport, L. (Ed.) (2014e). Mindfulness and the arts therapies: Theory and practice. London: Jessica Kingsley Publishers. Rappaport, L. (2013). ‘Trusting the felt sense in art-based research.’ In S. McNiff, (Ed.) Art as research: Opportunities and challenges. Bristol, UK: Intellect Publishers. Rappaport, L. (2014). Mindfulness and the arts therapies: Theory and practice. London: Jessica Kingsley Publishers.